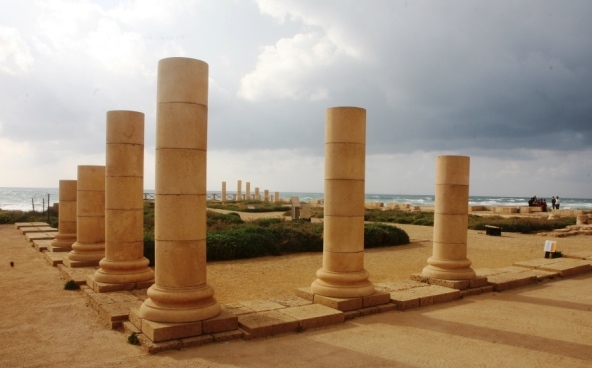 Explore the glorious excavations at Caesarea National Park. Caesarea is one of the most important historic cities in Israel, with excavations spanning from the days of King Herod and the Romans until the Crusader period. It is one of our recommended ten must-sees when visiting Israel. This ancient city was built by the Judean King Herod around the year 20 BCE. He built Caesarea on top of ‘Straton’s Tower’, a naval station built by Straton (aka Abdashtart), the ancient Phoenician King of Sidon in the 4th century BCE. Herod never actually lived here. He called the city Caesarea Maritima, ‘Caesarea on the Sea’ - in honor of the Caesar Augustus Octavian, the Roman Emperor who gifted to him the shoreline of Israel. And, in exchange, the Emperor visited Caesarea for the opening of the local ‘Olympic Games’. 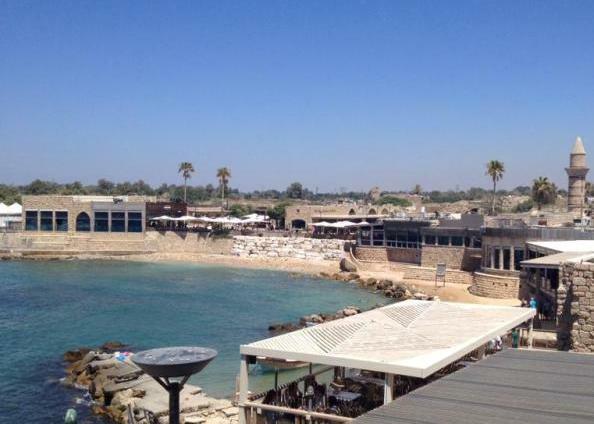 Herod built the most advanced port of the time around Caesarea’s natural harbor. Built of concrete, it could accommodate over 200 sea ships at the same time, the largest port of the ancient world. 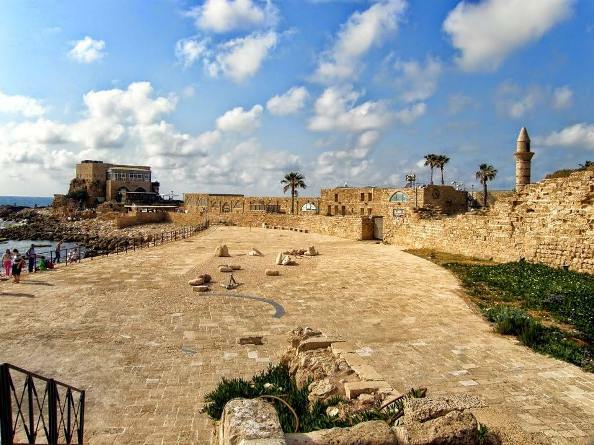 After the Romans destroyed Jerusalem in the year 70 CE, Caesarea ‎became the political and cultural capital of the Roman Province. We recommend you start your visit in the south of Caesarea National Park and work your way north. Two thousand years ago, the citizens of Caesarea were entertained at the classical Roman Amphitheater. As you walk from the amphitheater towards the sea, you will pass through an archaeological garden. You will stroll by beautiful remains of sculptures, inscriptions and pillars that were discovered in this area. 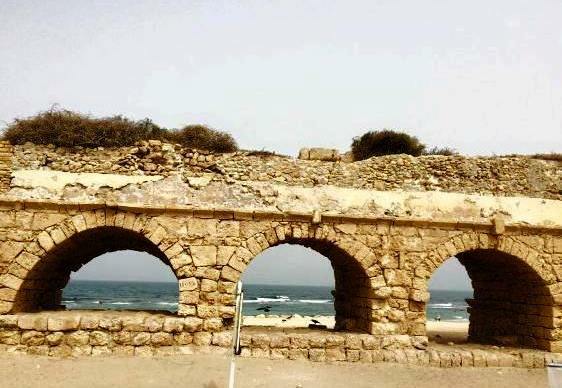 The Palace is a great vantage point from which to see beauty of Caesarea today - the ancient, monumental building remains of the ancient city near the sparkling, blue sea. You can still see the large hall and passageways, and the remains of a ‎geometric mosaic floor. The palace included a freshwater pool in its center. Over the years, rooms were added as it became used by the Roman governors. The walls were covered in paintings of hunts ‎and animal. Stone benches lined the way. 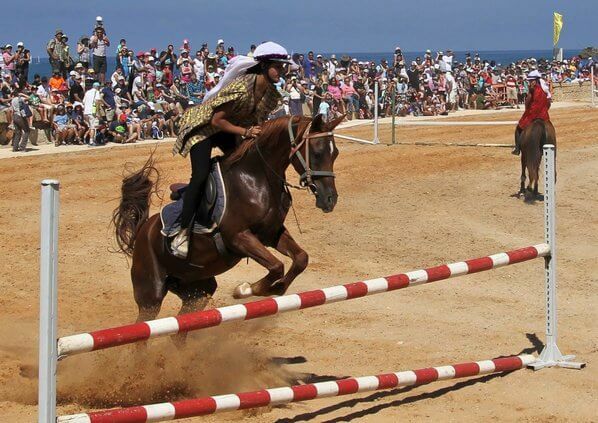 Spectators would come to see gladiators, athletic competitions, music, horse ‎racing and wild animal shows. 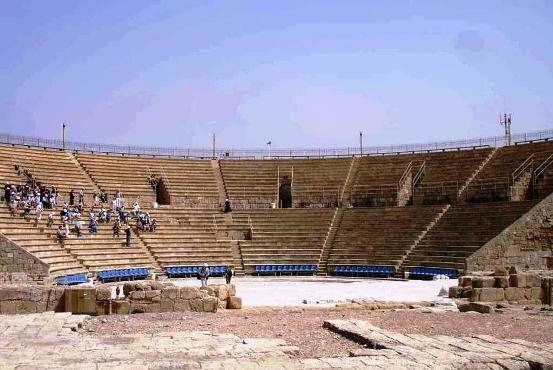 Just like once, Caesarea's Hippodrome is in use today during holidays and festivals. As you continue walking north you can see the remains of the Crusader ‎Fortress and other buildings, just near the Crusader harbour. The harbor area is a fun area to walk around. Caesarea Israel began as a very pagan, Roman city. But during the Roman and ‎Byzantine periods, many Jews and Christians lived there. 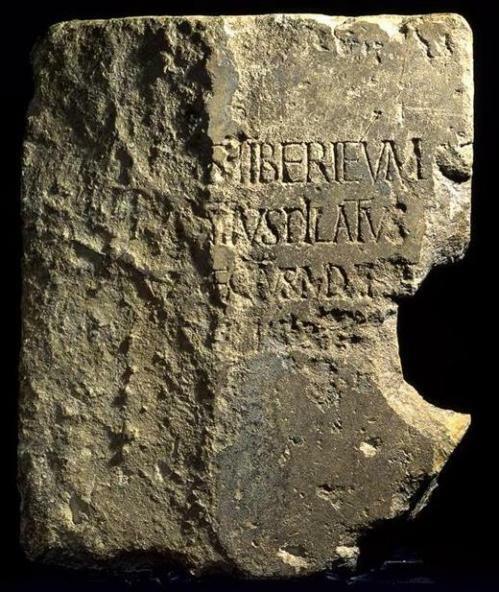 The Great Jewish Revolt against the Romans in the year 66 CE started here, ‎following riots near the Jewish synagogue. 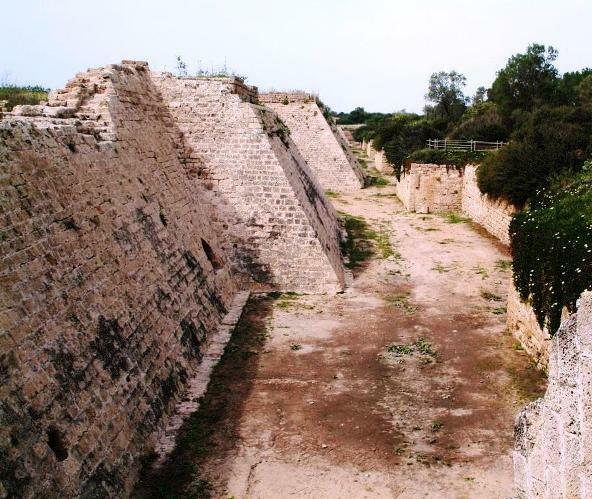 And 70 years later, the Bar-Kohba revolt was ultimately squashed in Caesarea. Some of the Ten ‎Martyrs were tortured and killed by the Romans here, including Rabbi Akiva, one of the most prominent ewish ‎spiritual leaders of all times. 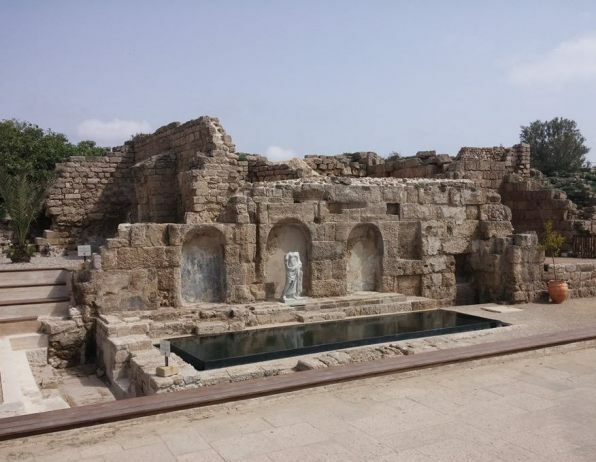 Caesarea also features prominently in Christian histo‎ry. The Apostle Paul was brought in chains and was interrogated by the ‎Roman Governor Felix in Caesaera.